U nfortunately, car accidents are quite common, resulting in over 37,000 deaths in the United States in 2016 alone. According to the Insurance Institute for Highway Safety (IIHS), this averages out 11.6 deaths per 100,000 people, or 1.16 deaths per 100 million miles traveled. These statistics vary per state, as populations naturally play a role. Any car accident can be traumatizing and fatal; however, accidents involving a big rig are typically even worse. Since drivers on freeways and city roads share the road with big rig trucks, 18-wheelers, and other large vehicles, accidents are bound to happen. Truck drivers must complete a training and certification to ensure that they are capable of driving such large vehicles. Unfortunately, these rules are not always followed, resulting in an increased chance of disaster. Most often, the cause of a big rig accident is driver negligence, in which case damages can likely be collected. An experienced personal injury attorney can help you obtain the best settlement or monetary damages for your case. Typically, the outcome very much determines on proving negligence in the case. 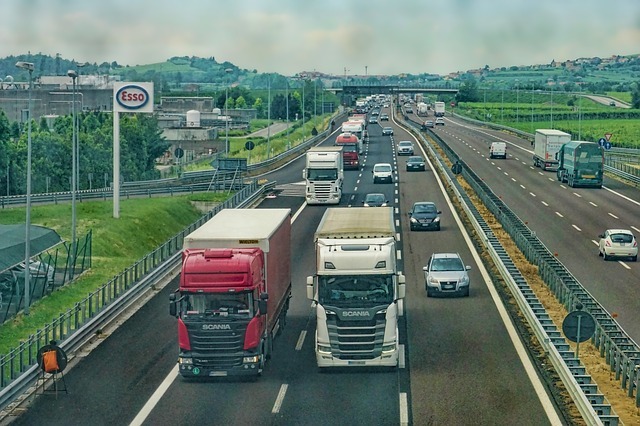 If you have been involved in a big rig accident, it is imperative you stay at the crash scene. Not only is this for health and safety reasons, but legal ones as well. In many states, if you leave the scene of an accident it can be considered a hit and run. Thus, it is important to stay at the scene until authorities and proper medical help has arrived. Ideally, keep your car in its original location to best preserve evidence for your case. Given the size of these big rigs, the accidents are often very serious — resulting in severe injuries and even death. It is important to immediately call 911, to get help as soon as possible and ensure your safety. Further, if your car has a built in S.O.S. system, this can be used as well. Given the size and nature of big rig accidents, these disasters often involve many vehicles. After ensuring the health and safety of yourself and any others who may be in your vehicle, if able, you should check injuries and damages to others involved. They may need assistance as well — especially if any passing by pedestrians were involved. After ensuring the health and safety of you and others involved, you should gather evidence for your case. Take photos of damage to all vehicles, skid marks, and any other indicators of what really happened. A video of these damages can work just as well. Furthermore, make sure to exchange personal information with the other drivers involved. This includes names, phone numbers, license numbers, plate numbers, insurance, and more. If you or a loved one have been in a big rig accident, it is important to properly proceed with the necessary legal steps. An experienced personal injury lawyer who specializes in big rig accidents can best help you collect damages and any other compensation. Although money won’t cure any injuries or loss, it can help stabilize any financial turmoil caused by the accident.